To celebrate the re-introduction of some long-lost favourites, The Body Shop are asking YOU to ‘Create an Original’. Share the story behind your original scent and you could win the chance of turning that scent into a limited edition shower gel and get whisked off to the Body Shop’s ultra cool laboratory for three nights to watch your scent enter development! Ice Blue Shampoo is still my total favourite from The Originals line up… but honourable mentions simply MUST go to the Fuzzy Peach and Dewberry scents. If you want a crack at the competition, get a move on! They’re accepting entries up until the 30th November. Simply enter through the website here. 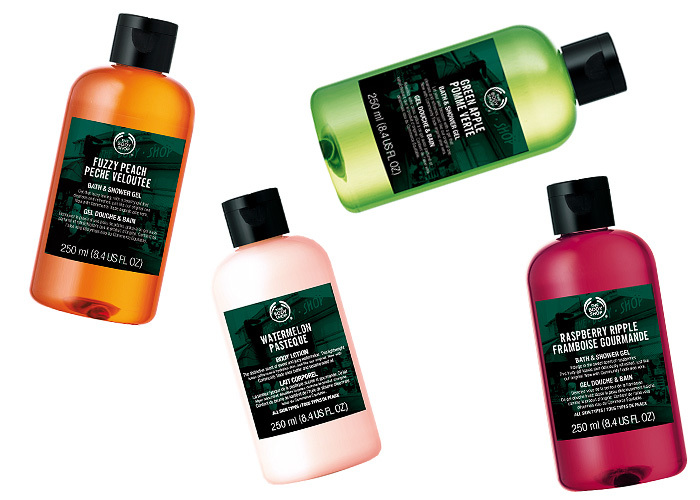 Stay tuned, ‘cos I’ve got a lovely Body Shop Originals Giveaway for FIVE lucky readers tomorrow!